Tiny Terrors, Take a Hike! 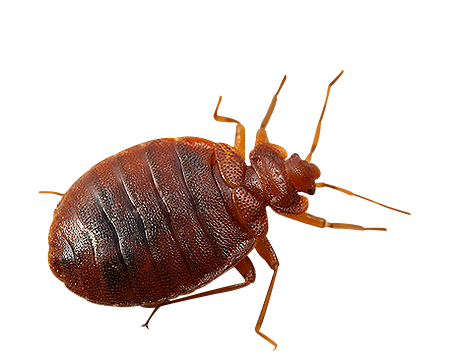 The presence of bed bugs is, arguably, more alarming to residents and homeowners than other pests because bed bugs are unbelievably invasive, difficult to detect with the naked eye, have a propensity to feed on human blood, and are an all-around beast to get rid of effectively. A bane on the existence of New Englanders for centuries, bed bugs are bad news. In worse news, bed bugs have been enjoying a boom over the past decade. Why? Because ours is an increasingly mobile society and bedbugs are the original hitchhikers. Have luggage, will travel -- incognito. Surprise, surprise - bed bugs are more than likely found in your bed, under your mattress, atop the box spring, and along head and foot boards. However, they can also be found on other furniture, crawling along the walls, and scuttling across ceilings. Unlike mosquitoes, which can transmit a host of diseases, bed bugs do not pose the same threat. However, bed bugs do leave nasty bites that can cause severe itching, which can lead to infection if left untreated. Beginning with a thorough inspection in order to identify the bed bugs, their location, and the extent of the infestation, JP Pest Services technicians customize an effective strategy, including a recommended treatment, control process, and prevention plan to deter future pest problems. While most people can agree, the emotional stress that a single bed bug sighting can bring on a business or homeowner can be overwhelming, but a secondary stressor is how to go about getting rid of them. JP Pest Services takes the stress and guesswork out choosing the most effective method, and the best pest management company. 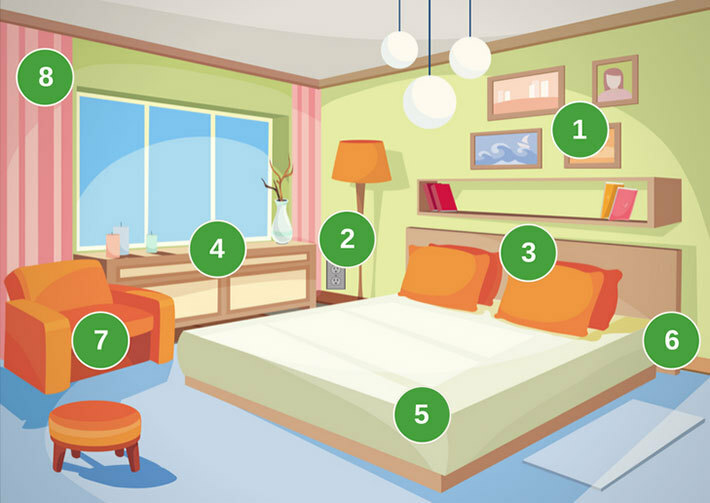 The first step in solving a bed bug problem requires a professional inspection to confirm the identification and presence of the pest, which is performed in spaces of the property which are typically associated with bed bug infestations. This is typically centered around the sleeping and communal areas, and is then extended outward to evaluate other areas of the property. 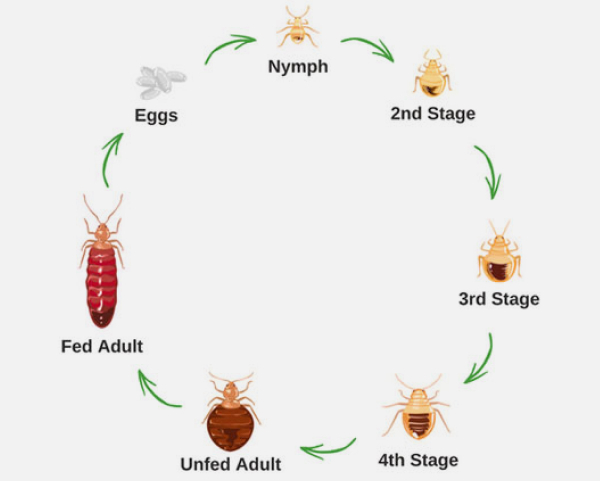 After your service professional confirms the presence of bed bugs, they will consider a few factors regarding the property’s activity and what a “typical day” looks like to determine the most effective and appropriate way to eradicate the pest. Once the presence of bed bugs has been confirmed and the extent of the population has been measured, your service professional will be able to work with you to prepare a treatment plan that is tailored to your individual needs. With the help of a specially trained team and their use of revolutionary biological solutions and specialized trapping & monitoring tools, JP Pest Services will be able to eradicate the pillow pests quickly and efficiently. Small, inconspicuous plastic cups that are placed between each bed leg and the floor. The cups are designed to allow bed bugs to climb into their moats and become trapped there, providing a simple and effective way to reduce population and monitor for activity. These encasements prevent bed bugs from hiding in hard-to-see areas of sleeping surfaces, and also prevent infestations from occuring in the interior of a mattress or box spring. 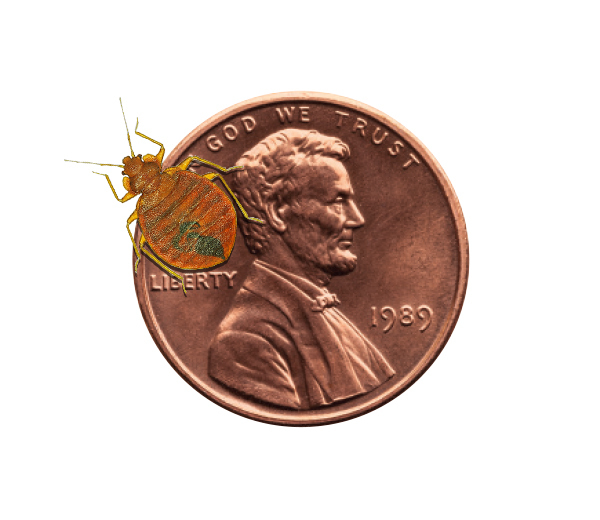 This leaves bed bugs exposed and easily detected during visual inspections and treatments to sleeping areas. 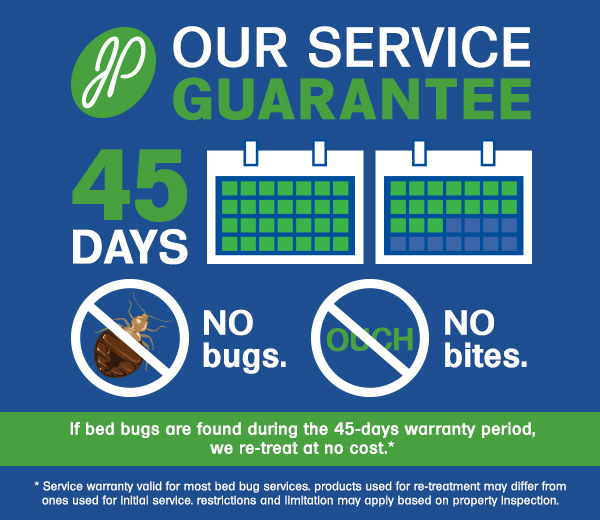 Your service professional will perform a follow-up inspection a few weeks following your initial treatment in order to ensure its efficacy and your complete satisfaction as a JP Pest Services customer. Blood-feeder; they don’t transmit disease and are considered nocturnal spending 90% of their time in hiding. Known as a hitchhiker pest, they travel easily from one location to the next by traveling on people and their personal belongings.